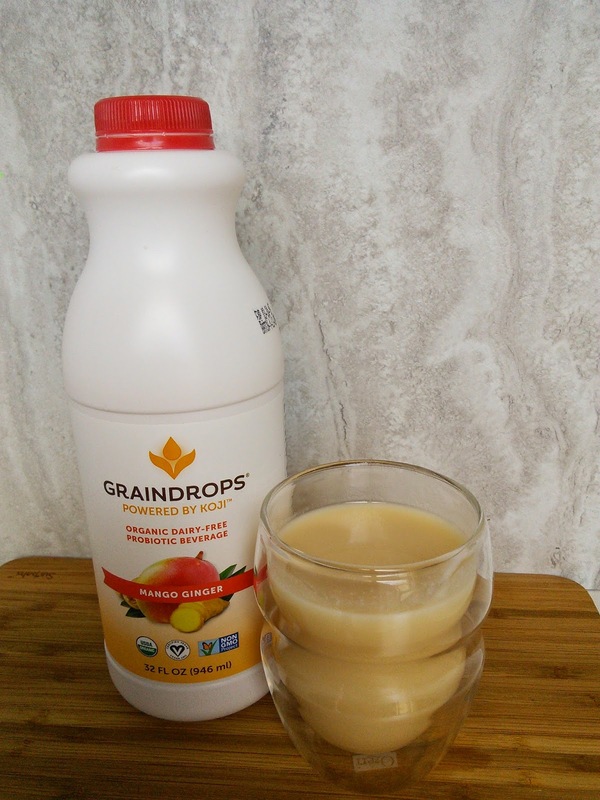 Graindrops is a Dairy Free, Gluten Free, Organic Probiotic Beverage made with Biodynamic Koji rice, Non-GMO and Vegan certified. 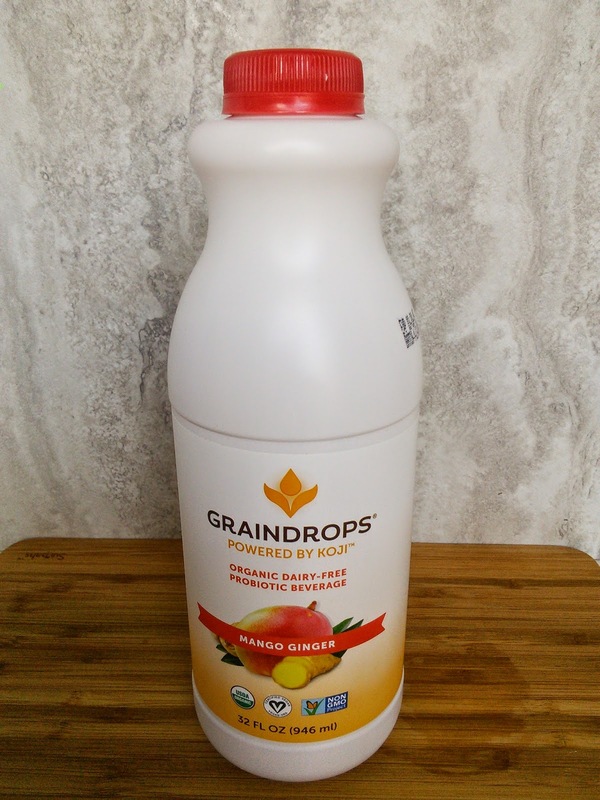 Graindrops also comes in yummy flavors like Original,Wild Blueberry, and Mango Ginger. This healthy probiotic beverage also tastes great as a drink and is a great source of fiber too. 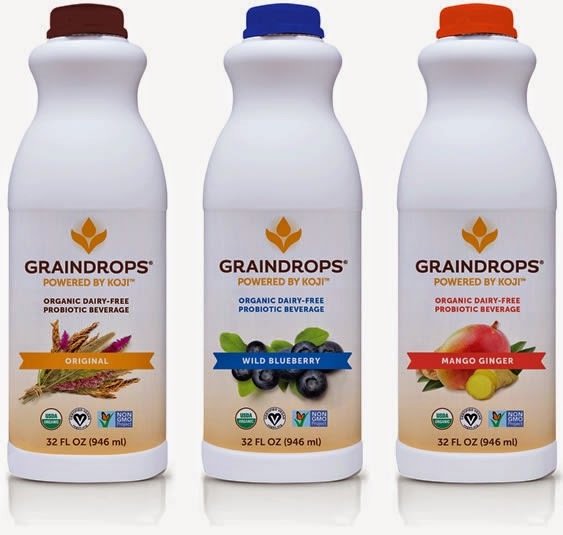 Graindrops is a cultured grainmilk that is loaded with probiotics, it has seven strains of up to 20 billion live and active cultures. The made ingredient Koji (pronounced KO-jee, which rhymes with tea)contains a naturally rich grain that has a mixture of enzymes like protease, amylase, and lipase convert all parts of our whole grains into healthy amino acids, carbohydrates, and natural sugars. I used this healthy, easy to digest grain beverage, to make a yummy smoothie. I used peaches and carrots with the Mango Ginger flavor to make my smoothie for added nutrition and fiber. I would add blueberries and spinach to the Wild Blueberry Graindrops and the Original Graindrops would be great when I made pancakes. 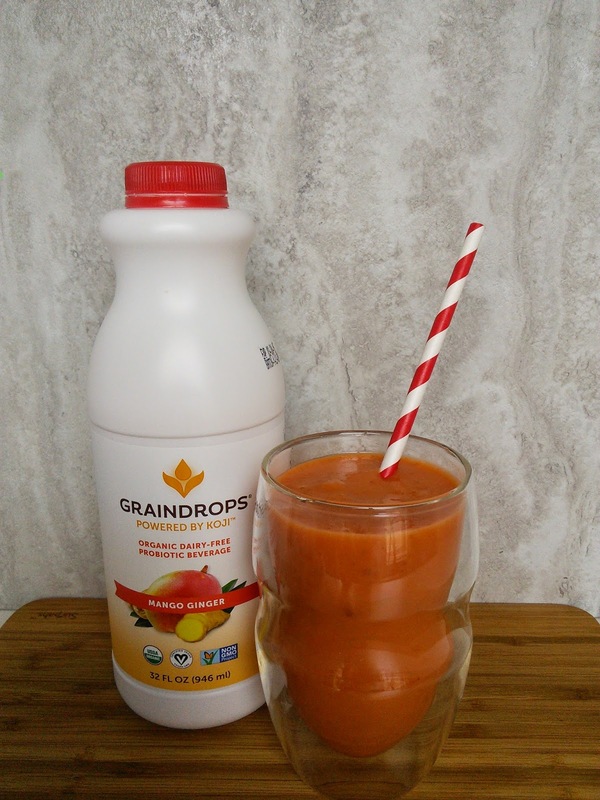 Check out some other amazing recipes made with Graindrops beverage. Place all ingredients in a blender and process until smooth. Serves one. 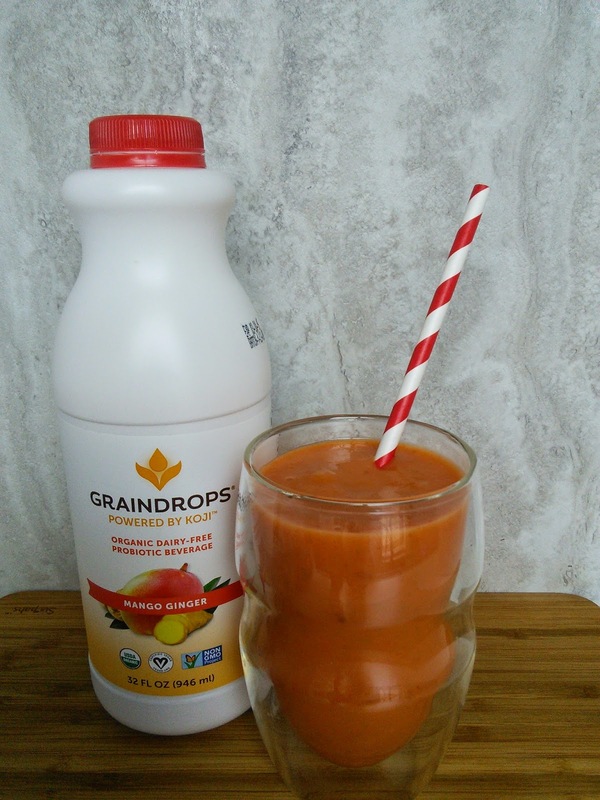 Try Graindrops for a yummy Organic Dairy-Free Probiotic Beverage. Too see where to buy this yummy grain beverage, click the below link. I bought my Graindrops at Wholefoods. "These opinions are my own and I received coupons to buy the above mention product in exchange for a review." Look so yummy! Will have to try this!! You share some really interesting products Tara! I have never heard of Grain drops, but will look for it locally. I just may try this one. This sounds like a great smoothie. 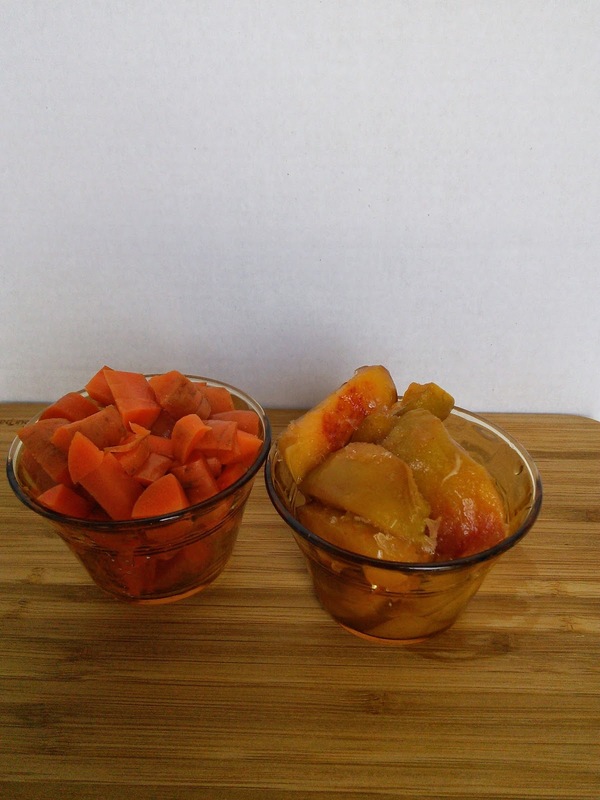 You get a dose of fruit and veggies in one serving. I love smoothies that mix fruit with veggies so my kids don't even know they have vegies in them! !